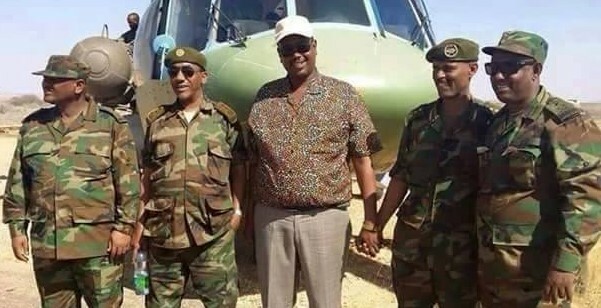 In a bizarre speech that Abdi Mohamoud Omer aka Abdi Iley gave to Regional House Representatives today, he claimed that everything he did for the last ten years was direct orders from Getachew Assefa, the former chief of National Intelligence and Information Services, and other TPLF military Generals. “I will tell you everything today. Every order to kill or cause crises was coming from them [TPLF]”, he continued. “All the mistakes I have made were because of Getachew Assefa. Getachew Assefa held a gun on our head and asked us to do what he wants us to do. In this speech that was like no other, he also seemed conciliatory. He declared, though it lacked authenticity and seemed to be aimed to just buy time, that “our people need to forgive each other. Those who are dead will not come back. Let’s forget what they [TPLF] did to us. We also need to stop silencing dissidents with lethal force to the point of killing the person. We should be able to have a dinner together while having a different point of views”. What is also interesting is the fact that he held what amounted to a press conference that he raised the same talking points covered in this piece, but in a rather constrained fashion. The Regional parliament’s session is expected to continue for tomorrow!